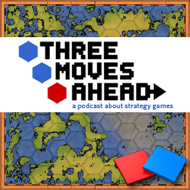 Troy, Tom and Bruce spend an hour talking about city builders as ant farm games. Why didn’t they talk about Dawn of Discovery two weeks ago? What’s up with Cities XL? Is SimCity Societies a neglected classic or a misfire of epic proportions? And, most importantly, does Bruce know any games made after 1984? Fascinating discussion, guys. Personally, and perhaps this is the European in me talking, I’d say the single most important thing in city builders is the supply chain. It’s related to the ant farm aspect, I suppose, but not quite the same. I get enormous emounts of pleasure setting up the 20 different buildings I need in the right proportions to support high level goods in games like the Settlers or Anno or even Caesar/Pharaoh. It’s something that’s more or less absent from the likes of Sim City, and I think that’s one of the reasons I’ve never gotten on with that game. Well, that and the bloody water pipes. Also, I realise it’s a bit pointless to quibble about genres, but you started it by saying Dawn of Discovery wasn’t a trading game, so there. I’d argue that Startopia, marvellous game though it is, is more of a management sim that a city builder. While I can see why you’d mention it, it has far more in common with those old Bullfrog games like Theme Hospital and especially Dungeon Keeper (not surprisingly given the history of the developer) than it does with more conventional city builders. I spent the majority of the discussion thinking when will they mention Dwarf Fortress, and I totally agree with Troy that there is a real gem of a city builder “ant farm” style game in there, but its made more or less impenetrable by the UI. I understand it has rogue-like roots, and it appeals to rogue players looking for something a little “more” in their game. They almost pride themselves on the ASCII art and the amount of effort you need to invest in the game to get to the truly wonderful nugget of creative goodness that dwells within. I come at DF a couple of times and found myself flagging and mystified, and could never get that much of a grasp on the gameplay to see that beauty until I set aside some time and decided to watch some excellent video tutorials on YouTube. Do a search for ‘captnduck’ and you’ll come across his very extensive collection of Video Tutorials. If you want to unlock the hidden secrets of the game, watch these videos, and they’ll have you begging to fire the game up and wrestle with the interface. DF does need some love in terms of making it accessible to more players, its such a landmark in city builder games that it should be open to a lot more people. Locking something this good away inside an ASCII UI prison is a crime. There are graphics tilesets that make the presentation more palatable, but the game would require funding and a rewrite to take it out of the rogue-like multi-layered key press interface and sit it better on a mouse driven point and click throne. I was racking my brains to add to the discussed list of games, ones which exist on consoles. The two examples I could come up with were the Xbox Live Arcades A Kingdom for Keflings, and the Wii’s Final Fantasy Chronicles: My Life as a King. Keflings is a village builder where you control a large giant who directs the villagers to collect resources and build certain structures to enable your community to flourish, theres a tech tree to explore, and you can direct the Keflings by picking them up “King Kong style” and placing them down to set their roles. The interesting thing about Keflings is that you can play this co-operatively, so you can have two giants wandering around directing the development and construction independently or in unison. A satisfying co-operative creative pursuit. FFC: My Life as a King, is more a hero manager and city builder, you send out hired heroes to explore dungeons (that you never see) and they have to gain experience and bring the loot back to you, so you can further develop your Castle and buildings to in turn help develop your heroes. So its a city builder nurturing an RPG like hero management simulator. Its very cutesy super deformed to appeal to the Final Fantasy crowd, but it is quite a satisfying management game, especially if you also enjoy RPG elements of hero development. The last game I can think of that I’ve played recently, from the casual arena is Virtual Villagers. Its more a population manager, but you do have certain settlement building goals, as well as adventure like puzzles to solve to keep your population healthy, fed and sheltered and growing. The interesting side to this is that you begin with almost nothing and you manage the roles of the people stranded on your island, and you develop them by making them do different things, so they can have multiple purposes. You also have an area to explore, and certain feats to perform to unlock other areas and new gameplay functions. The villagers themselves have a lifespan, so procreation is also under your control, to nurture a child population up to adulthood. The fact that you set your villagers off on specific tasks and then the game keeps simulating even if you’re not playing it, so it then becomes a game you can play in short bursts and still see progress in real time. Might not be strictly a city builder as such, but it has some building elements that require attention and role assignment and nurturing. Kingdoms for Keflings was quite fun while I was playing it for the first time, but it has zero replay value. I haven’t gone back to it since. I forgot to mention in my original comment that I was intrigued by the discussion of Sim City Societies. The original demo was really lacklustre, but I’d heard a while back (from RPS, I think) that it improved enormously after the big patch. I hadn’t yet got around to buying it, but it must be available really cheaply by now and I think I’ll give it a shot. I believe I read that XBLA has Utopia on the ‘Intellivision Lives’ compilation. It was one of my favorite games back in the day. I remember the random pathing of the typhons that could tear across your island destroying everything in it’s path. Sadly I haven’t really played any city builders since Caesar 2, but I have been mulling over the idea of getting Dawn of Discovery for the DS. Thanks for the tip on Utopia on XBLA! It is in fact on the Intellivision Lives pack. Now I have to play it. Another trip in the way-back machine…. Utopia! I remember it as a good diversion from the same-old, same-old in the Intellivision library, while being a fairly good game on its own merits. I agree it’s definitely an ancestor of the builder-game genre. One feature that fit well with its console heritage was the ability to choose yourself either a quick game of few rounds for that “quick-hit” before mom called you in for dinner, or a longer game of many rounds to see who was the better builder for the long term. I still remember that pit-of-the-stomach feeling each time one of those ‘random’ hurricanes would appear at the corner of the screen and slowly etch of patch of destruction toward and inevitably across the perfection I spent rounds creating. Always my island–never the person sitting next to me with controller in hand and that dopey grin on his face! Good memories….nice to see it remembered briefly on the podcast. Aside from being a tragic dissapointment, was Black and White a city builder?